An addictive fantasy-romance set in modern-day Seoul. 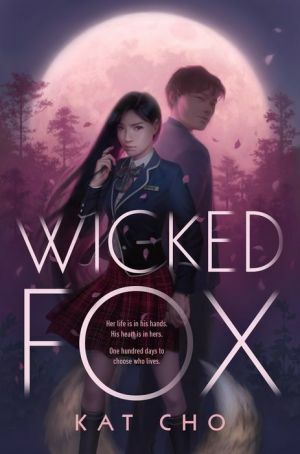 Eighteen-year-old Gu Miyoung has a secret--she's a gumiho, a nine-tailed fox who must devour the energy of men in order to survive. Because so few believe in the old tales anymore, and with so many evil men no one will miss, the modern city of Seoul is the perfect place to hide and hunt. But after feeding one full moon, Miyoung crosses paths with Jihoon, a human boy, being attacked by a goblin deep in the forest. Against her better judgment, she violates the rules of survival to rescue the boy, losing her fox bead--her gumiho soul--in the process. Jihoon knows Miyoung is more than just a beautiful girl--he saw her nine tails the night she saved his life. His grandmother used to tell him stories of the gumiho, of their power and the danger they pose to men. He's drawn to her anyway. With murderous forces lurking in the background, Miyoung and Jihoon develop a tenuous friendship that blossoms into something more. But when a young shaman tries to reunite Miyoung with her bead, the consequences are disastrous and reignite a generations-old feud . . . forcing Miyoung to choose between her immortal life and Jihoon's.